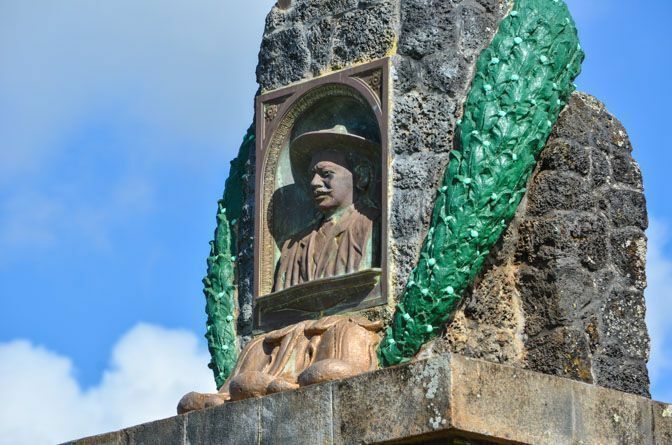 Tomorrow marks the 67th anniversary of Prince Kuhio Day, established in 1949 to honor the gentleman prince and most likely heir to the Royal Hawaiian throne prior to the overthrow of the monarchy in January 1893. Local kupuna or elders gathered in period costume from the Victorian era of the late 1800’s to earlier times when men and women wore the colorful ‘Ahuli’i, native red and gold cloaks or capes. In earlier times these were made of forest bird feathers gathered in the mountains. It was encouraging to see a great number of local youth attending the celebration learning the stories, hearing the experiences of their elders, so that in time they will be the future torch bearers. And the caretakers of Prince Kuhio Park which through a transfer of title the present owner has donated an additional 16 acres to the current 5 acre park. Citing the historical significance of the area, representatives of Alexander and Baldwin Company recognized that they did not have the expertise to care for this special area. An important figure in Hawaiian history and the last descendant of the King of Kauai, he is remembered as being the last person to have a direct line to the throne in the Kingdom. While his path to the Hawaiian monarchy was never to be fulfilled due to the overthrow of the Kingdom in 1893. He was jailed in 1895 for two years accused of trying to restore the Hawaiian monarchy. He adapted and worked within the confines of the new and illegal government and was elected to the Congress as a Republican. He served ten consecutive terms from 1902 and was instrumental in establishing counties in the state each with its own local elected officials. He spoke passionately in Congress about the plight of the Hawaiian people whose populations were decimated through the years by disease and disenfranchisement. It was estimated that prior to arrival of Europeans the native population was 90 % larger than in 1920. His fervor so affected President Harding that he signed legislation that created the Hawaiian Homes Commission Act in 1921 that set aside over 200,000 acres for native Hawaiians with a blood quantum of 50%. Prince Kuhio understood that his people needed protection in the wake of a flood of industrialists who saw opportunity in these islands to be exploited. He believed that if his people lost connection to the ‘aina or land, the very soul of their identity would be lost. For these and other accomplishments the community gathers each year to celebrate all that he has done to empower future generations of the Hawaiian community.